what kind of writer am I, anyway? 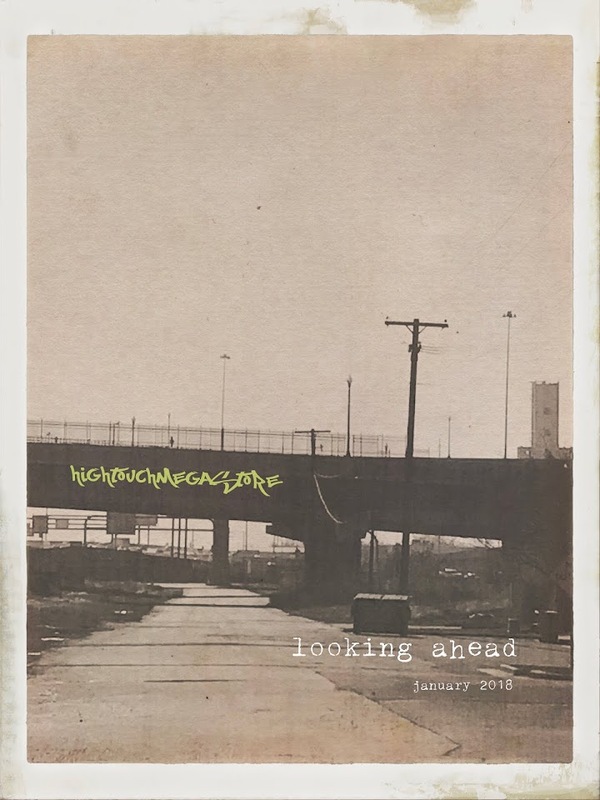 have I squandered all or just most of my opportunities? will I ever make anything worthwhile? etcetera, questions I think we can agree are not particularly productive when asked in an after-the-retreat blue period. So I did the sensible thing: I carried out a crafts-imperative. 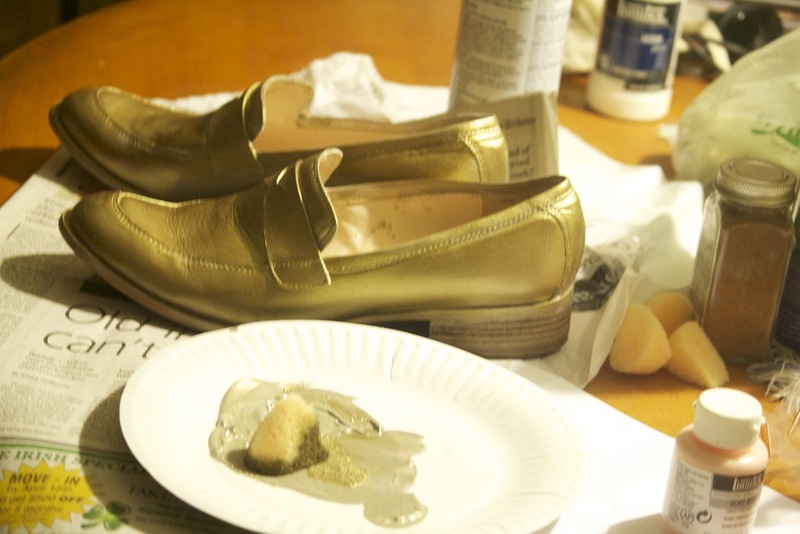 And no, I am not speaking of my writing craft, I am speaking of going to Michael's to buy gesso, acrylic paints, and a fixative so that I could turn a pair of uninspiring loafers into gold loafers. As in: I painted my shoes. 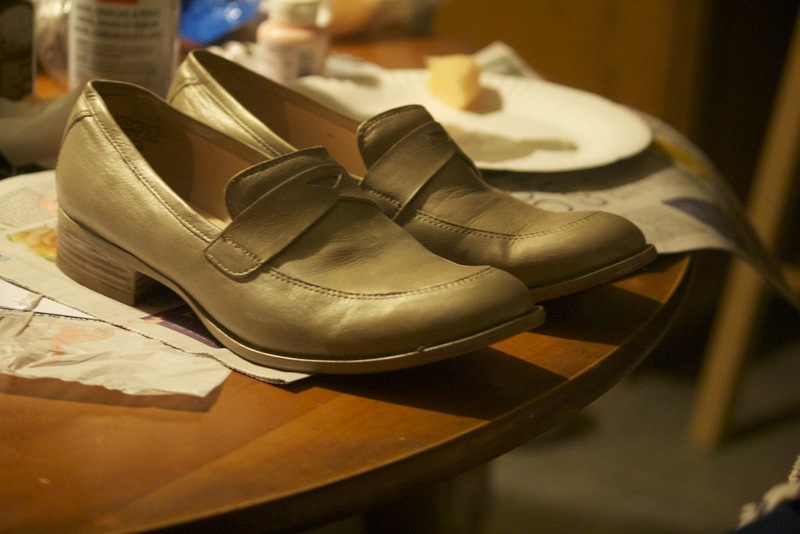 Practically, this means that I almost never wore these shoes. Yet I hesitated to give them away. They were--and this is meaningful in my shoe wardrobe--comfortable. Would the color grow on me? Would I fall in love with them over time? Could I somehow change their color? Could I paint them? I looked it up on the internet, after having inquired of my daughter (who had spray painted some pumpkins in a brilliant and very shiny fashion at Halloween) as to whether she advised spray paint for shoes. She said I should look it up on the internet, which I did (see above). I found these instructions, which is what sent me up to Michael's. "I think it might be safer in the other flower bed," he said. "I don't know if I like being married to a snake handler," I said, as he picked the snake up and put it in the ivy, where it flipped its tail in an insouciant manner as it disappeared. These (above) are gessoed. Gesso prepares the surface so it will take the paint. I know. I had mobster-in-Miami, now I have whatever this is. Which I am, honestly, in love with. 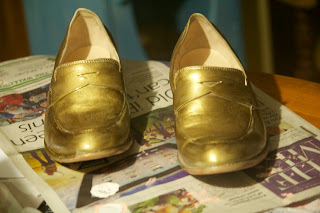 Gold shoes! The best! 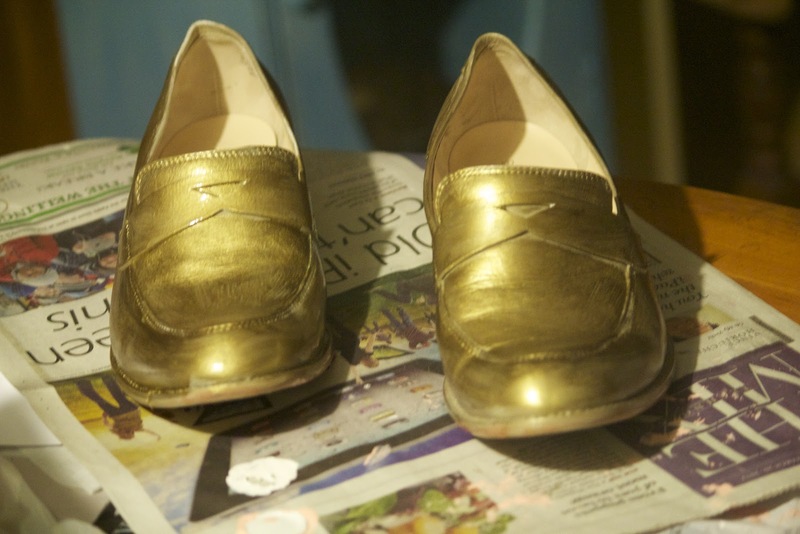 After the retreat, I think wearing gold shoes will put me in a better position for considering my artistic future. Gold beats the hell out of blue. You know the jazz ballad "Blue Moon"? It is always a good sign when blue turns gold. Maybe you should run your own retreat -- including a final workshop on the restorative effects of gesso.